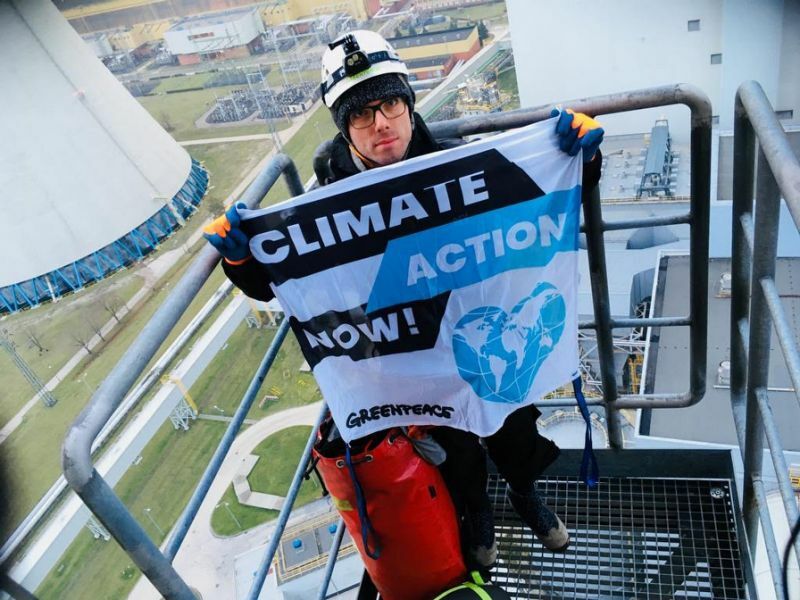 Six Greenpeace activists scaled a massive chimney at Poland’s Belchatow coal-fired power plant on Tuesday and will remain there overnight, as one of Europe’s largest polluters gears up to host the COP24 climate summit. The protesting climbers “have the appropriate equipment to spend the night in difficult conditions,” Greenpeace said in a statement. “We want to draw the world’s attention to the fact that climate change is real, that human tragedies are taking place before our eyes and that action is urgent,” Greenpeace Poland activist Katarzyna Guzek told AFP. Maciej Szczepaniuk, spokesman for Poland’s PGE power group which owns the Belchatow facility in southern Poland, told AFP that the “protest action has no impact on the functioning of the plant”. The UN’s climate chief Patricia Espinosa insists the summit in Poland must produce a detailed programme to move the Paris climate accord forward. World leaders have been trying to breathe new life into the 195-nation Paris Agreement amid backsliding from several nations — most notably the United States — over commitments made when it was signed in December 2015.